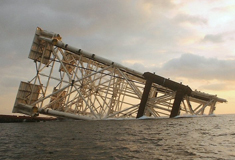 Oil States Industries has been supplying products and services for sealing and flotation to the offshore, fixed-structure market for over 50 years. As a pioneer in this market, Oil States originally designed and patented many of these products. 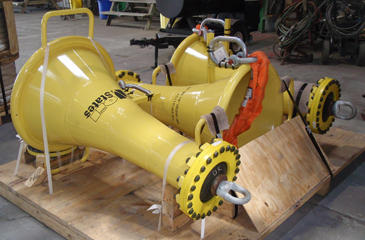 These include high-pressure diaphragms for flotation, weld-in, removable, J-tube and mud barrier along with various cutting and removal devices to ensure proper deployment. Oil States also supplies a full line of plugs for customer-required specifications. These include leg or pile plugs, pull-out style and pump-out plugs. Provide buoyancy for jacket leg and skirt pile sleeves during installation. High-pressure, high-strength nylon-reinforced rubber; tested to 1.5 times hydrostatic pressure from water depth. Quickly pierced by the pile or ruptured with an integral cutting tool. 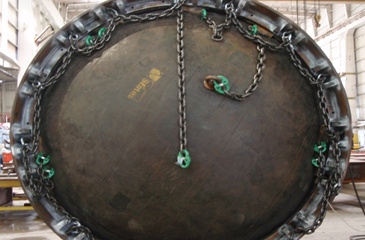 Diaphragm sizes available to 144″ O.D. 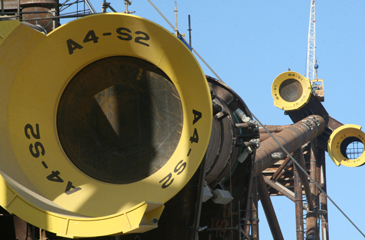 Available as dual-diaphragm design or for extreme-pressure situations. Fully removed to clear leg access. Internal placement at any elevation. Provide buoyancy during installation; high strength, high pressure. 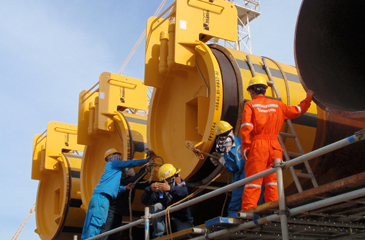 Accept installation of pull-in cables and diaphragm cutters. Provide clean, sealed J-Tube prior to riser pull-in. Long-term integrity for future expansion. Utilize guide cones for efficient operations. 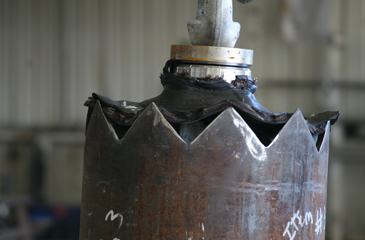 Keep mudline soil debris from prematurely entering the sleeve prior to piercing by the pile. Easily pierced by the piling. 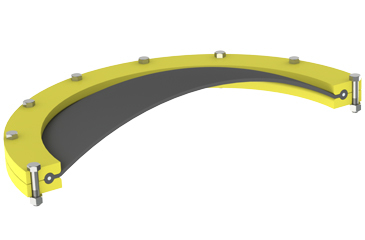 Reduced cost over high-pressure diaphragms. Installed and tested at the factory. 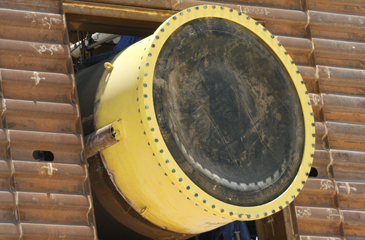 Quickly and efficiently cuts the diaphragm to reduce piercing loads by the pile. Equipped with eye nuts for easy attachment of removal cables. Designed for any diameter leg, sleeve or pile. High-pressure rating with integral flooding system. Suitable for use on towed piles. Uses inflatable packer for seal. 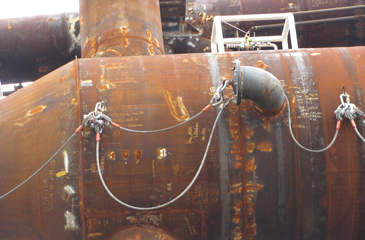 Provide buoyancy for spar hulls and buoyant tanks. Easily removed; leave no remnants. Standard sizes to 48″; larger upon request.